At the Samsung Unpacked press event this afternoon, the company announced two new tablets. The first one is not necessarily new, but Samsung decided to revamp the Galaxy Tab 10.1 after Apple launched the super slim iPad 2. 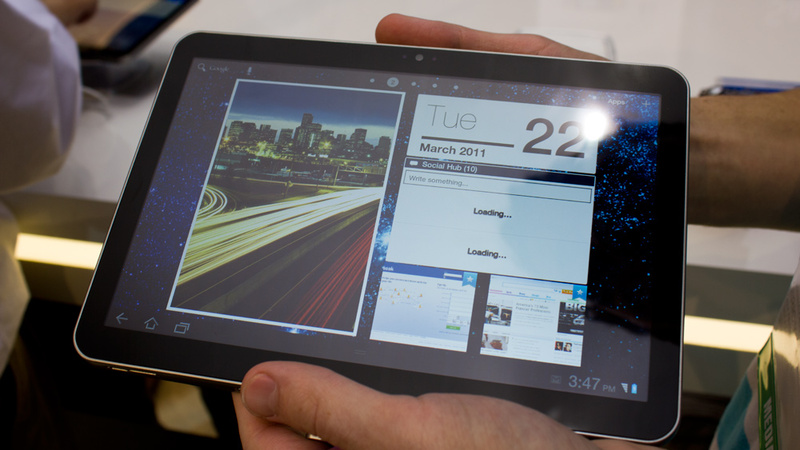 The second product was the mid-sized Galaxy Tab 8.9 tablet. Pricing and availability was also during the press conference, which is a step away from Samsung tradition. If never had a chance to follow developments from Mobile World Congress 2011 in Barcelona, Samsung had announced the Android 3.0 Honeycomb Galaxy Tab 10.1 at that event. Just a month later, the company is back with a slimmer model to offer a competitive edge to the new iPad 2. Samsung’s new tablet is just 8.6 mm thick, which makes it just as thin as Apple’s device. 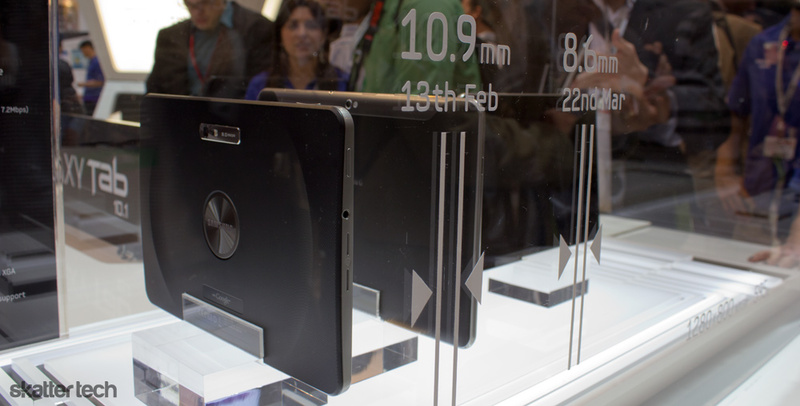 It might be as thin as the Galaxy S II, but that is not the only news. The tablet sports a 10.1 inch screen and a better grip. The slim 6800 mAh battery offers nearly 10 hours of video playback, which the device weighs about 1.3 lbs. Samsung also announced TouchWiz 4.0 which brings additional features to the Android 3.0 Honeycomb operating system including a set of widgets. Samsung will launch HSPA+ and LTE models in addition to a WiFi-only version. There is a 2 megapixel camera on the front for video calls and a 8 megapixel one on the back for 1080p video. The web browser supports Adobe Flash 10.2 and the device even features stereo speakers. The tablet is also oriented towards business users with integration for SAP Business Objects Explorer, Microsoft Exchange ActiveSync, Sybase Afaria, and Cisco AnyConnect. Samsung even offers on-device encryption for both internal and external storage. QuickOffice also comes pre-installed with the tablet for viewing and editing office documents. A few official accessories include a Samsung Stick which is a Bluetooth microphone shaped like a pen for answering phone calls. A Sound Station packs a sub-woofer for improved audio. There’s a Desk Dock with HDMI output. Finally, a USB connector for SD Card access. The Galaxy Tab 8.9 is probably the most interesting news that came from their press conference. As someone who felt the Apple iPad 2 and Motorola Xoom were too big, an 8.9 inch model makes a great size. The existing Galaxy Tab 7 is too small for my taste. It features the same hardware as the 10.1 inch model, but with a smaller screen and body. The thickness remains the same at 8.6 mm. 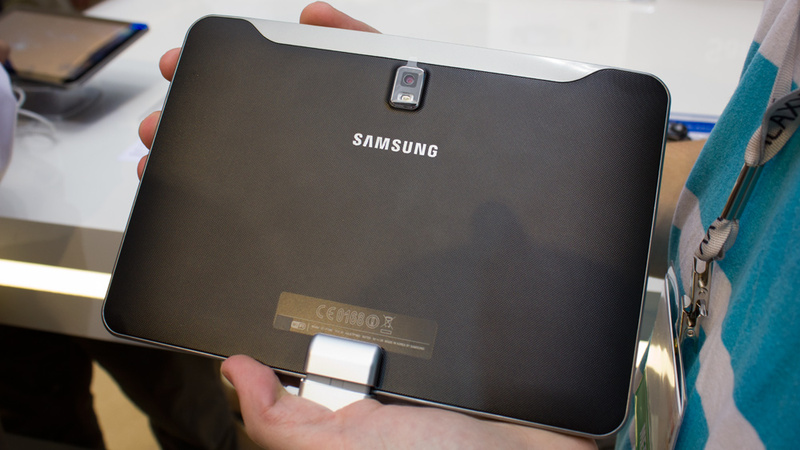 Like the larger Galaxy Tab 10.1, this smaller tablet also comes in a WiFi-only model. A LTE and WiMax version are in the works too. This tablet weighs just 470 grams, has the same screen resolution, the same dual-core processor, but only a 6000 mAh battery. Samsung will offer the a 16 GB WiFi-only Galaxy Tab 10.1 for just $499 and a 32 GB version for $599. The 16 GB WiFi-only Galaxy Tab 8.9 sells for $469 while the 32 GB model goes for $569. The smaller model will debut in “early summer,” while the 10.1 inch model has a set date for June 6th.